Cool tones accented with blush in a pair of abstract landscapes. 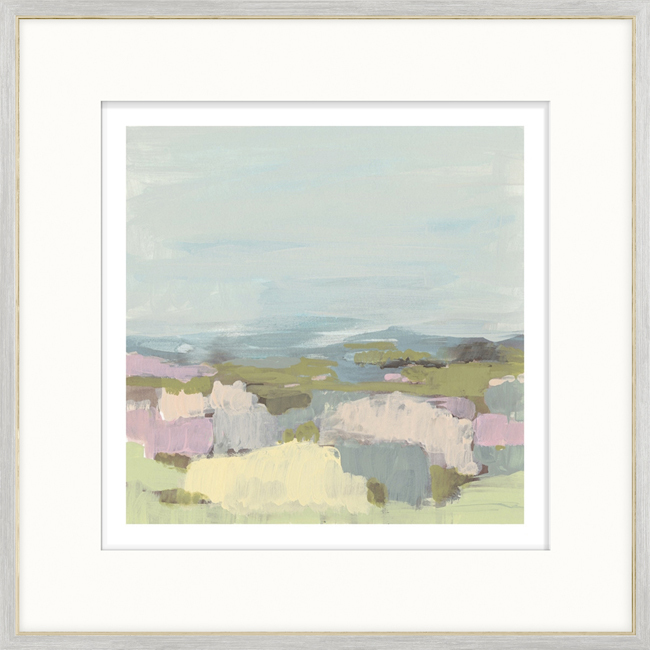 Reminiscent of both coastal and desert vistas, this pair of ice cream coloured, abstract landscapes use cool tones accented with blush to create sweet scenes. 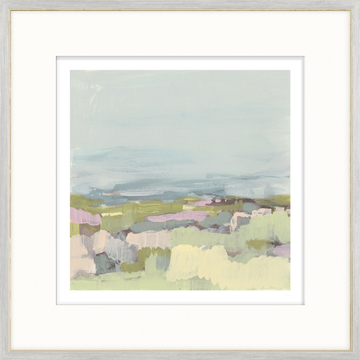 Framed with a simple white washed molding with gold inner lip.